I've been realizing lately that my absolute adoration of pattern doesn't show through in all my work that I have. Doing crazy little patterns doesn't always work with all the lettering that I do so I am going to try and get more patterns worked out. The last few days I doodled out some fun little patterns for my society6 shop. Here's the result of my fun (Click each image to see a larger version). I had tons of fun making these two patterns and I love how they look on the products available in my shop. 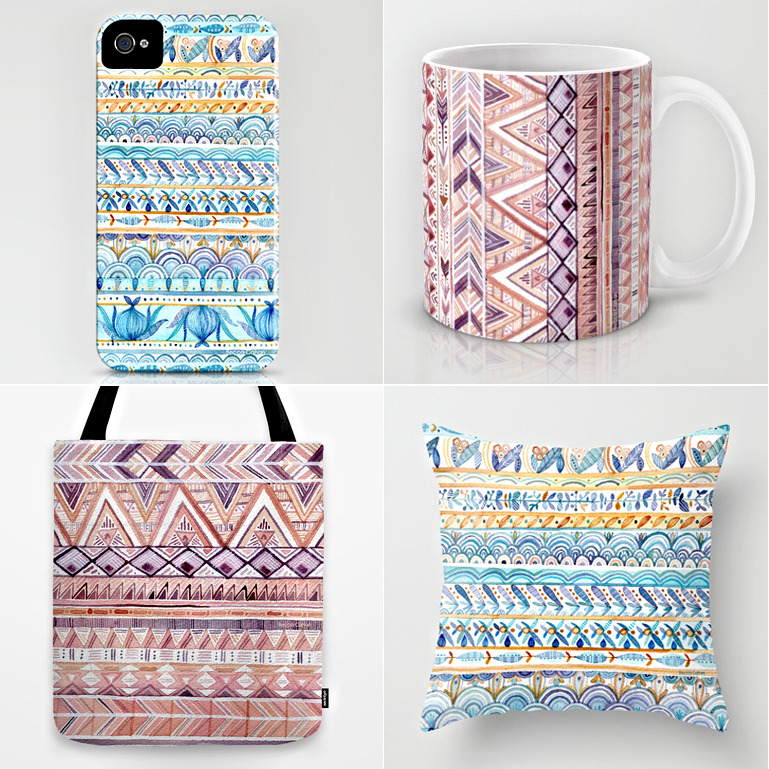 Using this promo link you can receive free shipping on most* items in my Society6 shop any time through January 12! (*excludes Framed Art Prints, Stretched Canvases and Throw Pillows with insert.) Also, make sure to follow my instagram (username beccacc) to see snippets of paintings before they're up on my site!